The executive officer of the carrier Theodore Roosevelt has narrated a new ship-produced video that has popped up on YouTube. The Navy’s probably happier with this video than some other recent ones. Narrated by the XO, Capt. Douglas Verissimo, and featuring his CO, Capt. 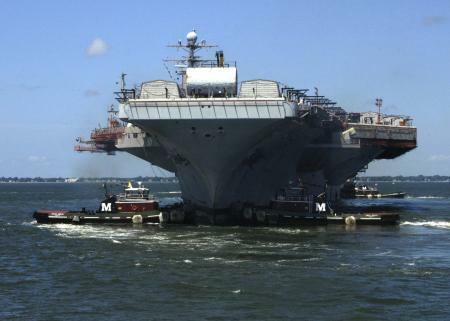 William Hart, in a walk-on part, the video touts the carrier’s ongoing Refueling and Complex Overhaul at Newport News Shipbuilding. The video is meant “to inform and inspire the ship’s prospective crew members, current TR Sailors and the nation of the momentous efforts involved in rebuilding the ship and returning her to the fleet,” according to a press release.